Failed attempt at improbable leap. 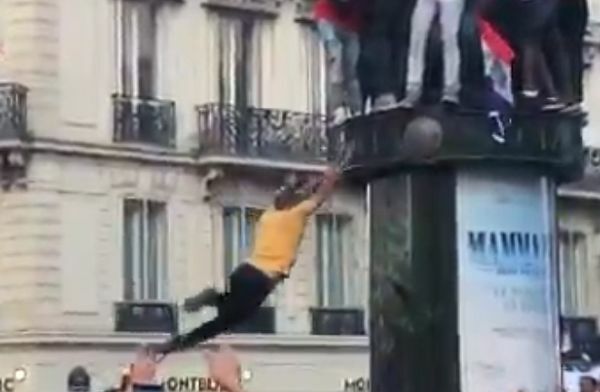 This France fan failed in an attempt to leap onto an advertising column during street celebrations of their World Cup triumph at Russia 2018. Quite how the man thought he could make the jump, let alone onto the top of a pillar already occupied by at least seven other people, is unclear. Inevitably, he falls well short of any ledge he could grip onto and plummets as a result.